Lawyers for Liberty has called for a halt in the execution of a Sarawakian in Singapore, scheduled for this Friday. 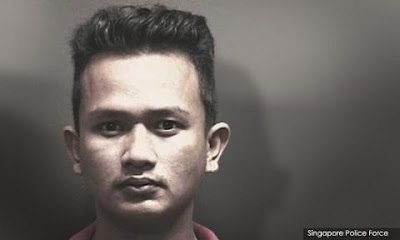 In a statement, its adviser N Surendran also lamented the short notice given by the Singaporean authorities to the family of Michael Anak Garing, ahead of the hanging. "Michael's family, who are from Kapit in Sarawak, have only been given eight days' notice on the imminent execution. They have been asked by letter to make the 'necessary funeral arrangements'. "This extremely short notice is disturbing and a cause for concern. It gives the family scant time to spend with Michael in his final days, and to make preparations," said Surendran. Michael, now 30, was part of a gang that went on a slashing spree while robbing people - severely injuring three, and killing a fourth man, in Kallang, Singapore in 2010. He was convicted of murder by the High Court in Singapore in 2015 and sentenced to death, while another suspect, Tony Imba, was sentenced to life in prison. Michael's conviction was affirmed by the Court of Appeal in 2017. While acknowledging that what Michael did was a serious crime warranting punishment, Surendran said the convict should be given a chance for rehabilitation. "By executing him, the state is answering his wrongdoing with an even greater wrong. "Singapore gains nothing by carrying out this execution, except to strengthen the perception of indifference and callousness to human life. The death penalty has never been proven to be a deterrent to serious crime. Killing Micheal only entrenches the culture of violence, and will not make Singaporeans any safer in their daily lives," said Surendran. He further urged the Singapore president to exercise clemency and commute Michael's death sentence to life imprisonment. "It is not too late to do so. "We further urge the government of Singapore to impose a moratorium on all executions and work towards the abolition of the death penalty."